To download a pdf version of the full 2018 Mozambique country profile in English or Portuguese, click here. Mozambique is a very low-income country on the East Coast of Southern Africa. One third of the population lives in cities. With an urbanisation rate estimated at 3.81 percent per annum, however, this proportion is expected to increase in line with urban growth patterns across the continent. Housing affordability in Mozambique is severely constrained. Construction costs are estimated to be 30 percent higher than in neighbouring South Africa, as a result of higher material costs, low labour productivity and high financing costs. A small percentage of construction materials are locally manufactured; most materials are imported from South Africa, Portugal and China. While the minimum wage was revised in April 2018 to MZN 4 142 (US$69) a month, the majority of the population earns less than US$100 a month. Banks offering mortgages have a minimum loan amount of MZN300 000 (US$5 000), which is far out of reach of the majority, yet still far less than the cheapest house in the market. FFH estimates a housing deficit of two million units and over 13.5 million people that require housing. The equivalent of 2.5 million families, or 60 percent of the Mozambican population, live in substandard housing; approximately 70 percent of households in Maputo live in informal housing. There is very limited investment by the private sector in the low-cost housing sector, as investors prefer high-end projects. Potential developers are also put off by the need to build supporting transport and services infrastructure for new sites and the lack of government support for low-cost housing schemes. Over the years, there have been some promising public-private partnership arrangements, but these have not reached expectations, neither in quantum nor affordability. Mozambique’s property market is dominated by the fact that the state owns all land. The registration and cadastre systems still only cover limited urban areas. This limits the amount of formally financeable land through mortgages and contributes to a general lack of clarity on property titles. The resale property market is limited. Apart from the fact that secondary sales are difficult due to the protracted procedures and consents necessary because of leasehold tenure, owners also avoid the risk of forfeiting current rights in the process of sale (fearing, for example, that the title may be questioned). There are a wide range of opportunities for both public and private sectors to strengthen the development of housing finance, as well as increase its supply. Possible initiatives include expanding tailored housing loan products to low income groups and introducing innovative and competitive incremental self-build housing solutions. 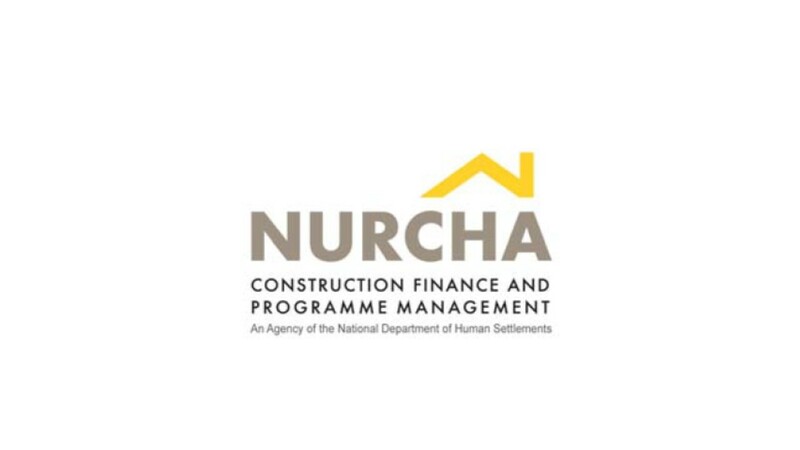 The growing microfinance industry offers potential for the growth also of housing microfinance, to support incremental housing delivery and the provision of starter plots by the FFH. With rising building materials, opportunities exist regarding the use of alternate approaches, technologies and local materials that could help to reduce the need for imported building materials and speed up the delivery of affordable housing. 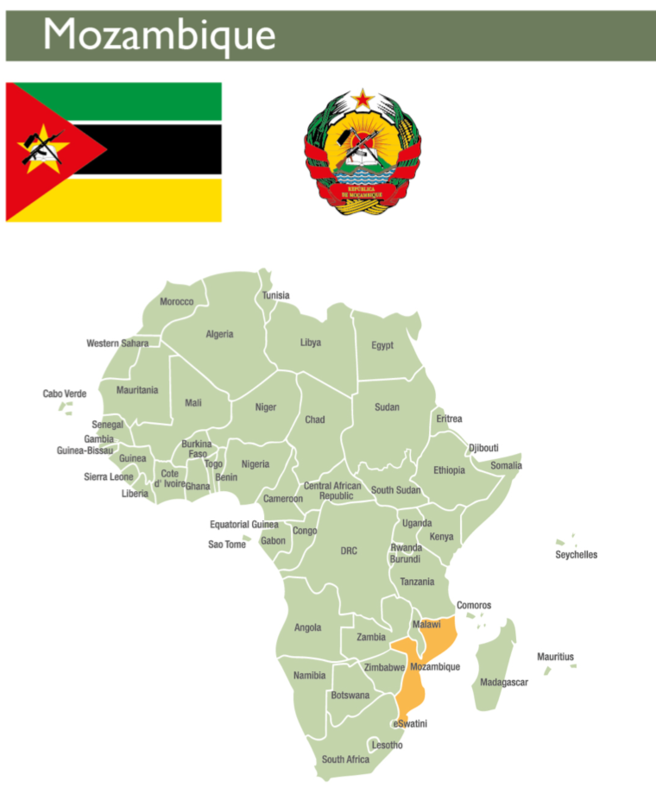 Mozambique is a very low-income country on the East Coast of Southern Africa. Provisional reports from the 2017 Population and Housing Census put the total population at 28.8 million people.One third of the population lives in cities. With an urbanisation rate estimated at 3.81 percent per annum, however, this proportion is expected to increase in line with urban growth patterns across the continent. The country suffers from high levels of poverty and vulnerability. While poverty rates have improved, they are still high, estimated at 41-45 percent of the national population in 2014/15.GDP per capita reached a still low ‘high’ of US$519 in 2017.In 2017, the United Nations Development Programme’s (UNDP) Human Development Report (HDR) ranked Mozambique 180th out of 189 countries.High unemployment (25 percent in 2017)persists while the vast majority of the labour force relies on subsistence farming and informal activities. The government approved a long-term National Strategy for Development, Estratégia Nacional de Desenvolvimento (ENDE) for the 2015 to 2035 period.The ENDE places particular emphasis on industrialization and identifies agriculture, fisheries, industrial diversification, infrastructure, the extractive industries and tourism as key priority areas. The economy in Mozambique has been volatile in the past few years, in part as a result of declining global commodities prices and a fall in agricultural production due to climatic change, but also due to an unstable political environment, a suspension of donor support to the national budgets, and a downward review of the sovereign rating.By the end of 2016, the Bank of Mozambique intervened with monetary policy that contained the inflationary pressure and stabilised the Metical exchange rate, which had depreciated by 60 percent in 2015. By August 2018, the annual inflation rate was at 5.02 percent, up from 2.33 percent in April 2018, but down dramatically from its November 2016 high of 26.35 percent.In August 2018, the Central Bank announced annual GDP growth of 3.4 percentdown from 3.8 percent in 2016, and well below the 8.8 percent average of the past twenty years. KMPG reports that more than half of GDP growth in 2016 resulted from the tertiary (services) sector, of which housing (8.7 percent growth) and financial services (17.9 percent growth) were the most productive. The construction sector grew by 11.4 percent in 2016, but slowed in 2017 due to the impact of the exchange rate and rising interest rates on the import of materials. A major change in the year has been in the money markets, with a rise of 16-20 percentage points in treasury bill rates, closing at the end of 2017 at 24.32 percent for 91 days, 27.47 percent for 182 days and 28.84 percent for 365 days.This has put pressure on banks’ retail interest rates, and impacted substantially on the housing investment environment. XinhuaNet(2017) “Mozambique has 28.8 million people: census.” 29 December 2018. http://www.xinhuanet.com/english/2017-12/30/c_136860636.htm(Accessed 23 Sept 2018). 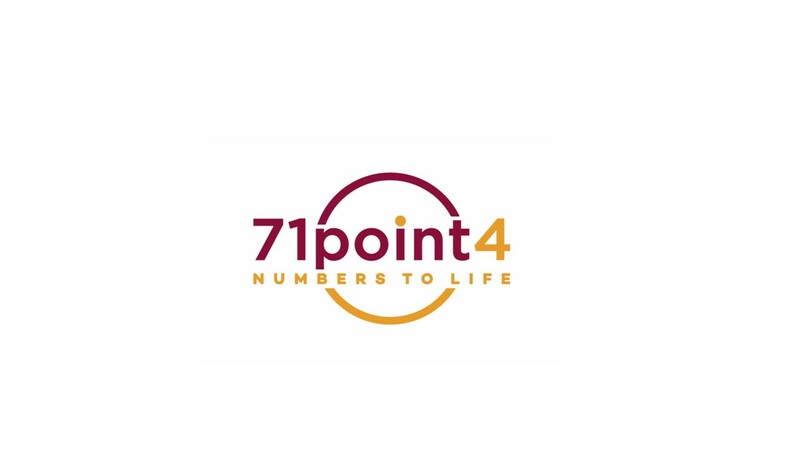 MinistryofEconomicsandFinance(2016).PovertyandWell-BeinginMozambique:FourthNationalPoverty Assessment (IOF 2014/15).https://www.wider.unu.edu/sites/default/files/Events/PDF/Abstract_Executive_Summary_EN_4Eval_0.pdf (Accessed 23 Sept 2018). Trading Economics (2018). Mozambique GDP per capita.https://tradingeconomics.com/mozambique/gdp-%20per-capita(Accessed 23 Sept 2018). UNDP (2018). Human Development Indices and Indicators: 2018 Statistical Update. Briefing note for countries on the 2018 Statistical Update: Mozambique. 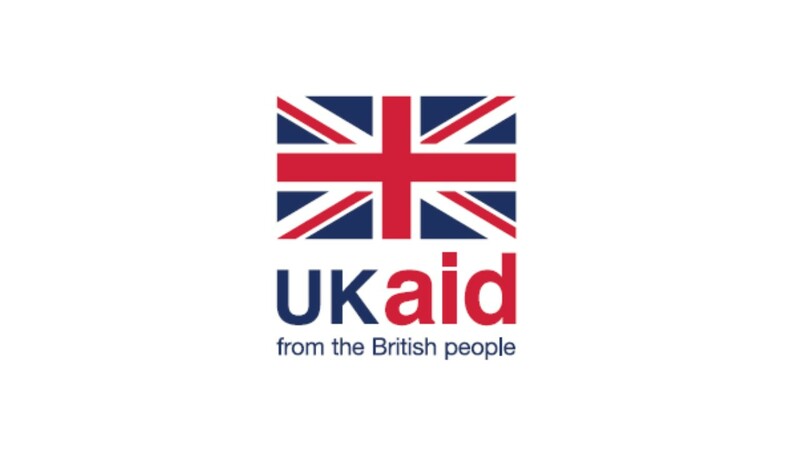 http://hdr.undp.org/sites/all/themes/hdr_theme/country-notes/MOZ.pdf(Accessed 23 Sept 2018). Trading Economics (2018). Mozambique Unemployment Rate https://tradingeconomics.com/mozambique/unemployment-rate(Accessed 23 Sept 2018). Republica de Mocambique (2015). Estratégia Nacional de Desenvolvimento. http://extwprlegs1.fao.org/docs/pdf/moz147210.pdf(Accessed 23 Sept 2018). KPMG (2017). Banking Survey 2017. November 2017. http://www.amb.co.mz/index.php/estudos-e- publicacoes/pesquisa-do-sector-bancario/75-banking-survey-2017(Accessed 27 Sept 2018). Trading Economics (2018). Mozambique Inflation Rate. https://tradingeconomics.com/mozambique/inflation- cpi(Accessed 27 Sept 2018). Banco de Moçambique (2018). Comité de Política Monetária. Cominicado No. 04/2018. Maputo, 30 de Agosto de 2018. http://www.bancomoc.mz/fm_pgTab1.aspx?id=16(Accessed 27 Sept 2018). KPMG (2017). Banking Survey 2017. November 2017. http://www.amb.co.mz/index.php/estudos-e-publicacoes/pesquisa-do-sector-bancario/75-banking-survey-2017 (Accessed 27 Sept 2018). The Mozambique financial sector has seen an expansion during the last years, although financial access remains limited. FinScope 2014 for Mozambique reports that 20 percent of the adult population is banked and another four percent is financially included with non-bank institutions; 16 percent of the adult population has access to only informal financial mechanisms; and 60 percent (the highest in all the countries studied by FinScope) is excluded entirely from the financial sector. The banking sector has 20 registered banks, with the three largest banks accounting for 73 percent of total banking sector assets. A bank capital adequacy ratio of 18 percent in 2016 (up from 17 percent in 2015) is in line with Basel II, and reserves ratio of 27 percent foreign currency and 14 percent national currency. The non-performing loan (NPLs) rate increased slightly to six percent in 2016, up from four percent in 2014. Lending rates remain very high, with prime rates increasing by about 10.7 percentage points in 2017 and settling at about 27 percent by the end of 2017.In August 2018, Banco de Mozambique decreased the Standing Lending Facility to 18 percent and prime lending rates to 21.75 percent. Most of Mozambique’s commercial banks offer a mortgage product, but the mortgage loan to GDP ratio is very low and was measured at 0.91 percent at the end of 2014 according to Banco de Moçambique. Banks’ mortgage portfolios represent 2.42 percent of total outstanding loans. The conditions for mortgage loans are generally restrictive, reflecting the banking industry’s austerity. Loan-to- cost maximums are generally set at 80 percent. Commercial banks request another property or fixed assets as collateral for a transition loan at least until the construction is 80 percent completed and can thus be mortgaged. Mortgage interest rates are set at around five percent above prime; as a result, current rates hover around 30 percent with a repayment term of 15, 20 or 25 years and a minimum downpayment of 30 percent. The minimum loan amount is around MZN 300 000 (US$5 000). To make housing loans more accessible, some banks offer property leasing or rent- to-buy schemes in which the property is made available on a rental basis to a tenant who has an option to buy the property at the end of the lease. 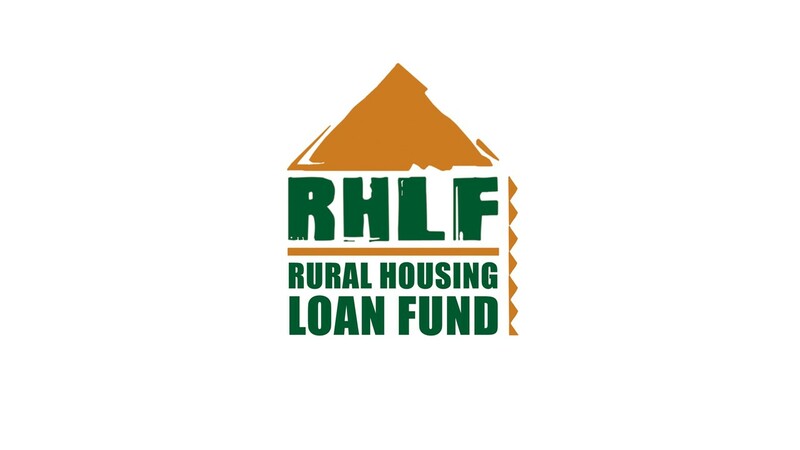 The Fund for Housing Promotion (FFH) has agreements with several banks to make mortgage loans accessible to public employees. These loans have shorter terms, sometimes of five to ten years. In some cases, the lender requires a guarantee or other forms of collateral. Construction or developer finance is limited and expensive, with rates of up to 30-35 percent. Although the microfinance sector is vibrant, only five microfinance providers offer an explicit housing microfinance product. There have been significant changes in this industry over the past few years and the depth of financial intermediation remains low. Socremo offers housing loans for home improvements and rehabilitation up to MZN 1 million (US$16 700). Letshego offers a loan product, “Credimola” of up to MZN 1 million (US$16 700) for a minimum of 6 months and a maximum of 6 years. Murambire, B (2018). Capacitação de Jornalistas (Sistema Financeiro). FSDMoç 25 Julho 2018. http://fsdmoc.com/wp-content/uploads/2018/07/Apresentação-sobre-Inclusão-Financeira_Conceitos-Gerais.pdf (Accessed 23 Sept 2018). See Letshego’s website: https://www.letshego.com/mozambique(Accessed 23 Sept 2018). Housing affordability in Mozambique is severely constrained. Construction costs are estimated to be 30 percent higher than in neighbouring South Africa, as a result of higher material costs, low labour productivity and high financing costs. A small percentage of construction materials are locally manufactured; most materials are imported from South Africa, Portugal and China. Only the most basic materials (such as cement and wood) are sourced locally. The lack of basic infrastructure adds to the total costs of the development. Plots are often far from main roads and not linked to the public water and electricity network. While the minimum wage was revised in April 2018 to MZN 4 142 (US$ 69) a month, the majority of the population earns less than US$100 a month. Banks offering mortgages have a minimum loan amount of MZN300 000 (US$5 000), which is far out of reach of the majority, yet still far less than the cheapest house in the market. At the current rate of 28 percent, the minimum loan would be affordable only to a household with a monthly income of about MZN 22 000 (US$370). The mortgage applicant would also need to save a third of the purchase price to cover the deposit requirements, registration costs and taxes, and valuation and origination fees. As a result, the majority of households build incrementally.With regards to the lack of affordable housing and the lack of access to finance, most families rely on their own savings (as these become available) and local materials to self-construct their homes. 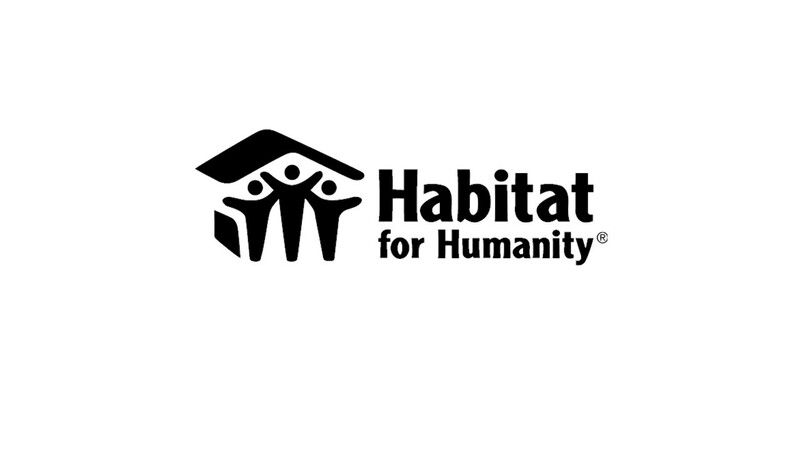 UN-Habitat suggests Mozambican families have invested at least US$3 billion in informal housing in Maputo alone. Housing affordability is also a challenge in the rental market, where high demand and the lack of adequate supply have resulted in highly inflated prices across all income brackets with owners setting monthly rents in the upper market from US$1 000 to US$10 000 a month in Central Maputo. The lower income market is offering rental houses from US$100 to US$300 a month in the informal neighbourhoods. Centre for Affordable Housing Finance (2018). Housing Investment Chronicles. http://housingfinanceafrica.org/documents/mozambique-housing-investment-chronicles/(Accessed 9 Sept 2018). FFH estimates a housing deficit of two million units and over 13.5 million people that require housing. The equivalent of 2.5 million families, or 60 percent of the Mozambican population, live in substandard housing; approximately 70 percent of households in Maputo live in informal housing. While it is estimated that 23 000 units will be needed by the year 2020 in the Maputo areas of Baixa, Museu, Polana, Sommerschield I, Sommerschield II and Marginal, there are currently only 4 500 new housing units expected to enter the market in central Maputo over the same period. The housing deficit is also felt in other emerging economic centres in the country, such as Tete, Nampula and Pemba. In its previous five-year plan (2010-2014), the government committed to build 100 000 houses and service 300 000 plots of land by 2014. According to local sources, the government only delivered 1922 houses by the end of 2014. The housing target in the new five-year plan (2015-2020) is less ambitious with the state committing to build 35 000 houses by 2019 (7 000 a year), but this number remains unrealistic as the government of Mozambique continues to experience fiscal pressures. Some projects began in Marracuene,Tete and Nampula, but there is not a clear strategy to solve the lack of housing in Mozambique. There is very limited investment by the private sector in the low-cost housing sector, as investors prefer high-end projects. The Casa Jovem project in Costa de Sol, for example, is a 36 hectare housing project under development on the outskirts of Maputo, and is often mentioned as an example of a private sector affordable housing project. The project comprises 1 680 flats in four to eight storey walk-ups, and 300 houses, of which 100 flats have been constructed to date. However, with the price of flats ranging between US$47 000 and US$130 000, it is out of the reach of most Mozambicans. Potential developers are also put off by the need to build supporting transport and services infrastructure for new sites and the lack of government support for low-cost housing schemes. Over the years, there have been some promising public-private partnership arrangements, but these have not reached expectations, neither in quantum nor affordability. For example, Intaka started in 2012, with the intention to build 5 000 houses in the southern city of Matola, in partnership with Henan GoujiI Mobiliária. Unit prices are between US$63 000 and US$158 100. An agreement with the Chinese government promised a further 5 000 houses in other cities. A partnership with a Spanish construction group also wanted to develop of 4 500 houses in three provinces, with prices starting at US$30 000. Construction was supposed to launch in 2014 but work never started. Other developments included a US$217 million facility provided through three credit lines by the Indian government in 2013 to fund public works and housing projects. The projects included the construction of 1 200 houses in Tete, Zambézia and Cabo Delgado but work never started. In addition, FFH also signed agreements for new social housing projects in the Provinces of Cabo Delgado, Nampula, Tete and Maputo for 50 000 housing units at a total cost of US$5.5 billion. The Municipality of Maputo signed a memorandum in 2017 with Turkish Akay Constructions to build 5 000 houses in Zimpeto, Polana Caniço and Ka-tembe with a starting cost of US$70 000. Akay is looking for 2 500 people interested to start the construction of the houses. Nyumba and MCMS has recently announced plans to build 12 000 prefab houses T2 with prices starting at US$16 700 and sizes of 40 m2. Casa Real, a Mozambican social enterprise focused on affordable housing, has been developing housing at prices between US$10 000 and US$50 000. The first ten of these are expected to be made available for sale in September 2018, with funding secured to deliver another 100-150 units in the near future. Casa Real plans to launch a rent-to-buy scheme for low income households who wish to purchase their starter units of 26m2, at a price of US$10 000. Rental amounts will be in the range of US$90 – US$100 /month, with priority given to municipal workers in the Beira area. Casas Melhoradas in Maputo is another approach to improve housing in unplanned settlements using low cost materials.Casa Minha lda, also in Maputo, is an affordable housing project with an innovative strategy to transform a well located informal settlement into a neighbourhood using a land readjustment approach. They are building twenty houses in a first demonstration phase with a plan to scale up to 160 houses in the next five years. For more details, see http://casasmelhoradas.com(Accessed 23 Sept 2018). Mozambique’s property market is dominated by the fact that the state owns all land. Land rights may not be sold, mortgaged or otherwise alienated. The Land Law recognises a “use right to land”, known by the Portuguese acronym DUAT (directo de uso e aproveitamento dos terras). Any investment made on the land itself is considered to be private property and can be bought, sold or mortgaged. The registration and cadastre systems still only cover limited urban areas. This limits the amount of formally financeable land through mortgages and contributes to a general lack of clarity on property titles. According to the Global Housing Indicators, only 20 percent of properties in the greater Maputo area were registered in 2009.According to the World Bank’s Ease of Doing Business indicators, Mozambique ranks 104 out of 190 countries in terms of registering property. It takes an estimated 40 days to complete the six procedures involved in registering property and the process costs an estimated 5.1 percent of the property value. Mozambique scores low on the quality of the land administration index, with a score of 9.5 out of 30. The resale property market is limited. Apart from the fact that secondary sales are difficult due to the protracted procedures and consents necessary because of leasehold tenure, owners also avoid the risk of forfeiting current rights in the process of sale (fearing, for example, that the title may be questioned). The problem of collateral enforcement is exacerbated by the long times it takes to go through the courts (on average three years), and that there are many instances of fraudulent titles. Global Housing Indicators (2009). Maputo, Mozambique. http://globalhousingindicators.org/en/content/maputo-mozambique(Accessed 23 Sept 2018). World Bank (2018). Doing Business: Ease of Doing Business in Mozambique. http://www.doingbusiness.org/en/data/exploreeconomies/mozambique#DB_rp(Accessed 23 Sept 2018). The policy and regulation framework governing the housing sector is based on article 109 of Mozambique’s Constitution of 2004, which states that all ownership of land vests in the state and that all Mozambicans shall have the right to use and enjoy land as a means for wealth creation and social well-being. The Constitution further provides that the state shall recognise and protect land rights acquired through inheritance or by occupation, unless there is a legal reservation, or the land has been lawfully granted to another person or entity. Many of the laws governing property date as far back as the 1960s and have not been updated since. The Land Law of 1997 reasserts the state’s ownership of land and provides that individuals, communities and entities can obtain long-term or perpetual rights to use and benefit from land. The Land Law protects the customary rights of communities to their traditional territories and recognises rights obtained through traditional and good-faith land occupancy, as equivalent to rights obtained by government grant. Community land use rights are legally equivalent to rights granted by the government to individuals and entities. Women and men have equal rights to hold land. Nationals have unrestricted rights of access to land; foreign individuals and entities must have a local residence and an approved investment plan. Housing is coordinated through two government organisations. The National Directorate for Housing and Urbanization (DNUH) and the Fund for Housing Promotion (FFH), both under “Ministério das ObrasPúblicas e Habitação” (MOPH), are the two government agencies with a specific mandate for housing. With the reorganization of the MOPH in 2010, the different departmental roles were clarified so that DNHU is in charge of the politics side and FFH has the mandate to act as an implementation agency. At the same time, within the MOPH, a Directorate that is responsible for the building materials was also created. The Housing Policy of 2011 promised adequate housing at an affordable price for all social groups. The policy recognized the need to improve land management, facilitate access to infrastructure, promote housing construction and enable access to financing resources. Currently, the Housing Policy is being reviewed by DNUH in collaboration with UN Habitat through a Housing Profile for Mozambique that will be the base to implement a new strategy for future plans. The Financial Sector Development Strategy 2013-2022 (MFSDS) provides an overall vision and a comprehensive and detailed roadmap for reforms in the financial sector. The strategy foresees the elaboration of a policy on housing finance, which will address necessary reforms for the development of the financial market for construction and purchase of housing. A first step in improving housing finance has already been implemented by revising the status of the FFH, giving it access to a variety of refinancing resources. The Economic and Social Plan, and the Slum Upgrading Strategy, both of 2012, add emphasis to housing and urban infrastructure upgrading. For an English translation of Mozambique’s 2004 constitution (as updated in 2007) see https://www.constituteproject.org/constitution/Mozambique_2007?lang=en(Accessed 23 Sept 2018). The previously healthy economic growth rates and foreign investment in Mozambique have significantly slowed in the last years. Analysts suggest that the development of the natural gas and coal reserves in Mozambique should have a big impact on GDP growth and create opportunities in the industrial and commercial sectors. There are a wide range of opportunities for both public and private sectors to strengthen the development of housing finance, as well as increase its supply. Possible initiatives include expanding tailored housing loan products to low income groups and introducing innovative and competitive incremental self-build housing solutions. The growing microfinance industry offers potential for the growth also of housing microfinance, to support incremental housing delivery and the provision of starter plots by the FFH. With rising building materials, opportunities exist regarding the use of alternate approaches, technologies and local materials that could help to reduce the need for imported building materials and speed up the delivery of affordable housing. Instituto National Estadistica (2016). IESE Instituto de Estudos Sociais e Econômicos, Boletim nº 89 Junho 2016. http://www.ine.gov.mz/(Accessed 14 August 2018).